Afghan Actress, Marina Golbahari, was the leading star in the film Osama, released in 2003. In the movie she plays a girl who is forced to disguise herself as a boy in order to work during the Taliban era. In real life Marina worked as a street beggar before becoming an actress. 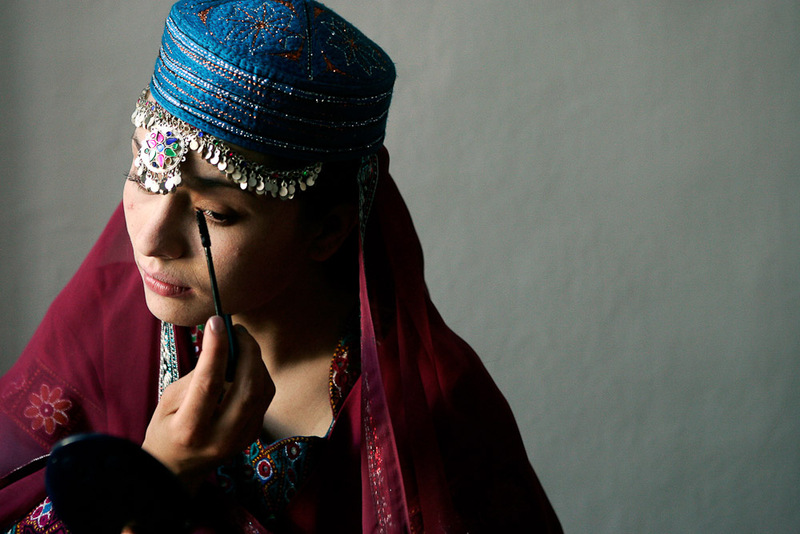 She applies her make up backstage before a performance of Shakespeare in Kabul.